How often do you have a family movie night at home? I always enjoy a lazy night at home after a week of activities, work, errands and more. 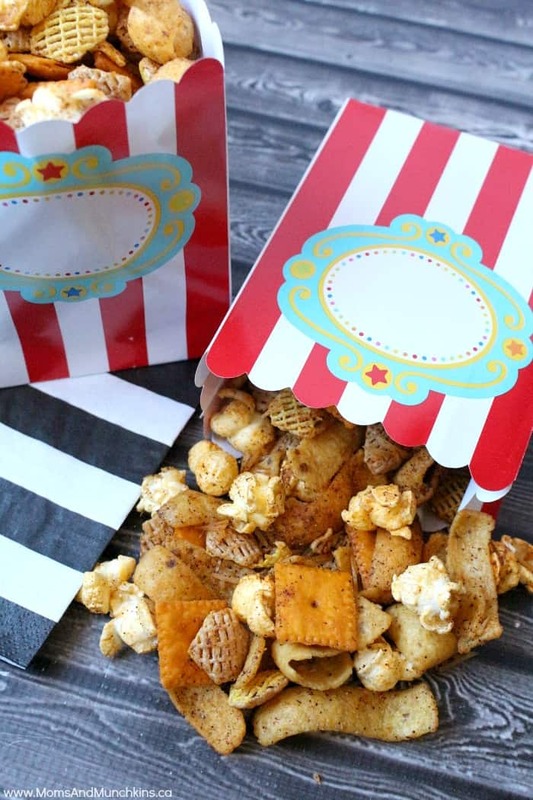 Family movie night wouldn’t be the same without some delicious snacks and this Taco Snack Mix is a tasty choice! 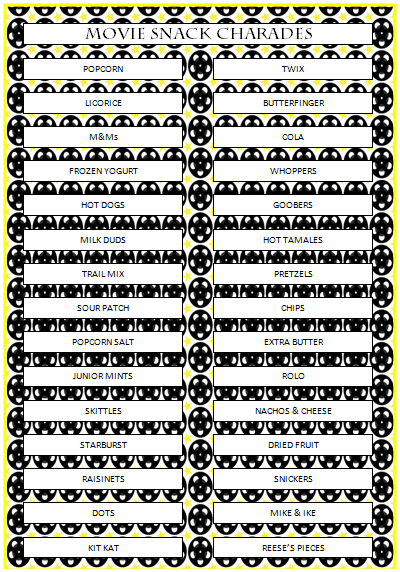 This is really easy to make and the kids can help you make it. With no baking required, this snack mix will be ready in less than 10 minutes! Less time in the kitchen means more time for the movie! This snack mix stores well for a couple of days so feel free to double the recipe for two family movie nights. In a large resealable food storage plastic bag, mix popcorn, cereal, corn chips and crackers. Pour melted butter over popcorn mix. Seal and shake bag until well coated. Sprinkle in cheese and taco seasoning mix. Do you ever play games on your family movie night? Yes, we have free printables for that too! This Movie Snack Charades game is a fun one! Basically you print out the free game, cut out the charades, fold them, put them in a bowl then take turns selecting a charade and acting it out for your team to guess. How would you act out “pretzels”? There are always lots of laughs when playing charades! We’re always adding new ideas for recipes and family fun. Stay updated on the latest by following us on Facebook, Twitter, Pinterest and Instagram.